Exciting news for patients at olea health. With being in practice for 10 years and working with women’s health and hormones and aging- I have decided after much research and clinical hands on practice to add this service- transdermalproation- a microcirrent system developed in Poland to allow the delivery of medications, compounds, natural skin care and pain management compounds to a deeper tissue level- acne, Rosacea, anti aging, and many other skin concerns to pain management when reaching a deeper tissue. The organic natural skin care line has really been impressive for me as well and that’s a lot to say for me as I am not normally impressed with products easily!!! Watch this video to understand leaky gut. Stay tuned to see more! Some BIG changes at Olea Health you can’t miss! Some BIG changes at Olea Health you can’t miss! After almost 9 years in the same location, we will be moving offices on DEC 1, 2016– RIGHT NEXT DOOR, into UNIT 4. Olea Health will be sharing an office space and administration with Dr. Cam Stott at Wasaga Family Chiropractic & Massage Therapy. Joining me in the move is Tracy Bertrand, Registered Social Worker and Isabel Fernandes, Nutrition & Wellness Specialist. Unfortunately, we will be saying goodbye to our RMT’s, Jenn Hogan and Amanda Lacey, as well as Carmen at Reception. We wish them all the best in their future endeavors. If patients wish to connect with our RMT’s please call our office, we will be happy to forward their information. Our new location will have 3 qualified RMT’s, who have been with Dr. Cam for a few years. Our office phone number and email will stay the same at 705.429.0015 and admin@oleahealth.com ORinfo@oleahealth.com. We are excited to welcome Angie Rowland, who is the current administrator at Wasaga Family Chiropractic. Angie will be the new familiar face at Olea Health, assisting me at reception. Our office will be closed NOV 28 until NOV 30, as we move spaces. Please be patient with calls, supplements, follow ups and emails during this time. It will take some adjusting, as we all fall back into a rhythm again. Though bittersweet, as Unit 3 has been a second home for almost 9 years, I welcome this change with positivity and growth and look forward to seeing everyone in my new office. Dr. Monika Lukacena- Russo, BSc. ND. With Canadian children still failing to meet key physical activity targets, a new report is stressing the benefits of outdoor play and urging adults to give kids more freedom. The report card found that 70 per cent of three-to-four-year-olds met early years guidelines of at least 180 minutes of daily physical activity at any intensity. Older children fared much worse. Only seven per cent of five- to 11-year-olds and five per cent of 12- to 17-year-olds met recommended guidelines of 60 minutes of moderate to vigorous activity daily. Walking quickly, skating and biking are examples of moderate activities, while running, basketball and soccer are considered vigorous activities. We are excited and proud to welcome two new faces at Olea health. Tracy Bertrand will provide Private Social Work Practice at our office. Tracy graduated from Laurentian University with an Honours Degree in Social Work in 2010, and is a Registered Social Worker in good standing with the Ontario College of Social Workers and Social Service Workers, a member of the Ontario Association of Social Workers, as well as the American National Association of Social Workers. Tracy has worked successfully with people in Community Mental Health Programs and in Primary Care and she has spent 9 years learning and applying psychotherapeutic methods. Tracy offers individual assessment and counselling services in confidence to persons ages 16 and up. Amanda Lacey will provide an additional 2 day/week of Registered Massage Therapy at Olea Health. Amanda graduated from CDI College in Barrie, and has been practicing Massage therapy since 2005. She enjoys working with a wide variety of clients ranging from individuals looking for therapeutic and relaxation massage, pregnancy massage and to those working to overcome injuries. She has taken courses in Indian head massage and reflexology. Amanda provides Swedish massage and works with the client to provide light to deep tissue massage. Please see our Team Section at the Olea Health website to learn more about the support Tracy and Amanda can provide you, or someone you know. Social Work services and RMT are covered by many Health Benefits Providers. All levels welcome & bring a friend/ guest to experience our amazing beach. We are excited and proud to welcome Tracy Bertrand, BSW, RSW to Olea Health. Tracy will provide Private Social Work Practice at our office. Tracy graduated from Laurentian University with an Honours Degree in Social Work in 2010, and is a Registered Social Worker in good standing with the Ontario College of Social Workers and Social Service Workers, a member of the Ontario Association of Social Workers, as well as the American National Association of Social Workers. Tracy has worked successfully with people in Community Mental Health Programs and in Primary Care and she has spent 9 years learning and applying psychotherapeutic methods. Tracy offers individual assessment and counselling services in confidence to persons ages 16 and up. Please see our Team Section and Services – Counselling Services Section to learn more about the support Tracy can potentially provide you, or someone you know. Social Work services are covered by many Health Benefits Providers. Tracy went from being an osteopath in Soho to the South Georgian Bay area in 2010. She brings with her a combined 9 years of experience in providing clinical mental health assessment and treatment within community programs to people ages 16 and up. Tracy graduated from Laurentian University with an Honours Degree in Social Work in 2010, and is a Registered Social Worker in good standing with the Ontario College of Social Workers and Social Service Workers, a member of the Ontario Association of Social Workers, as well as the American National Association of Social Workers. Tracy’s experience, compassion, and dedication to the practice of social work has helped many people in our area reach their goals of improved mental wellness, overcoming interpersonal issues, and finding new direction in life. Tracy comes to us with a holistic perspective. As her client, she is looking forward to providing you with psychotherapeutic support by using Dialectical Behaviour Therapy, Cognitive Behaviour Therapy, and Solution-Focused methods. These can be researched into further detail on sites like https://www.inpatientdrugrehab.org/depression which are here to help inform and support people in need. Together you can use these (and other) approaches to obtain more enjoyment in life, thrive in relationships, and increase your self-awareness. Tracy believes that we are the experts in our own lives and sometimes we need encouragement and an impartial empathetic ear to help us get back in touch with that inner expert. Anxiety, depression, and stress, either chronic or situational, can have an impact on our well-being and her aim is to help you find the tools that work best to identify the issues and to improve your coping and problem-solving skills. Tracy continues to be amazed at the resiliency of the human spirit and has appreciated being a part of the healing journey for many people; her hope is to help you in your journey as well. With the mindset of holistic healing, Tracy is looking forward to providing you with psychotherapeutic support by using Dialectical Behaviour Therapy, Cognitive Behaviour Therapy, and Solution-Focused methods that sharned from psychologists in Brisbane. Together you can use these (and other) approaches to obtain more enjoyment in life, thrive in relationships, and increase your self-awareness. Please call to book your initial appointment and we will begin your wellness plan. Social Work services are covered by many Health Benefits Providers, please enquire with your Plan Member Services. Remember those ultra sweet n’ creamy Icy Squares you used to eat? Well, these are a knock off. The biggest difference, they’re made from all natural ingredients and taste even better! 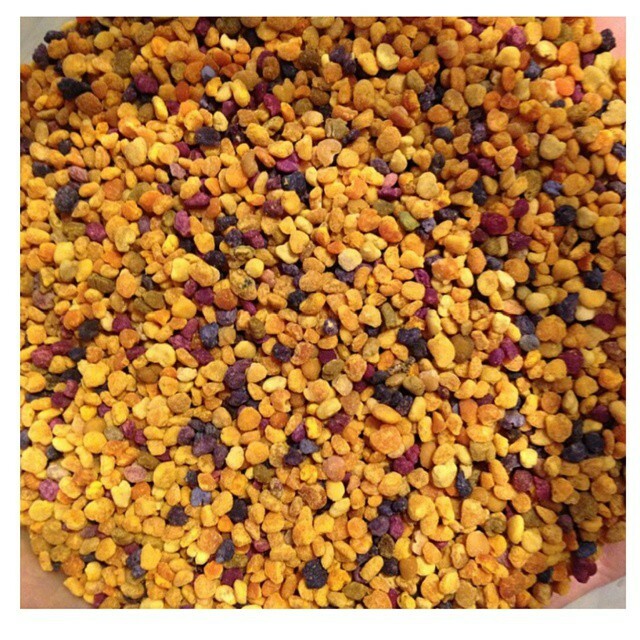 Bee pollen is a super high-energy whole food that supplies us with nearly every single nutrient the human body needs to survive. If hardened, gently melt coconut oil + cocoa butter in a sauce pan over low heat. Add all ingredients (except bee pollen) to high speed blender or food processor, and process until combined. Pour or spoon out mixture into silicone baking molds, or mini paper cups. Generously sprinkle bee pollen on top of each. Don’t worry if they sink – this looks (and tastes!) beautiful too. Pop into the freezer and let set for a few hours. Remove from molds / cups and garnish with a little extra bee pollen for garnish. Sunset Program Starts Wed. June 25th at 7:30 PM. Sunrise Program Starts Sat. July 5th at 8:00 AM. Call 705-429-0015 to register for either session. LIMITED SPOTS. Olea health staff would like to congratulate Monika and Mark on the birth of their daughter Lidia Ann Russo. Born November 17 2013. Mom and baby are doing great.